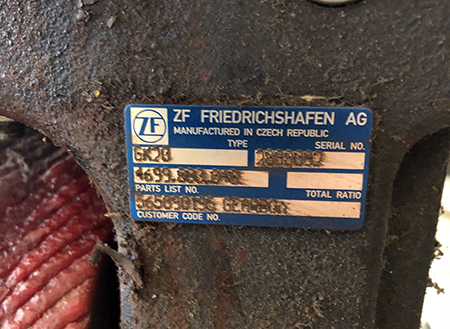 Beware of foreign critical components hiding in “American” machines! The US has had a long tradition of dominance in the Cleaning Machine industry. Unfortunately, that has dramatically changed with cheap Chinese imitations of American designs, and machines imported from all over the world. There’s nothing wrong or illegal about that, but manufacturers rarely make the origin of manufacture clear or accessible. So what? Well, US-made machines like Factory Cat and PowerBoss IC sweepers and scrubbers are the best in the world, and can be purchased for the same price or less than the foreign imitators. Plus, parts availability for these American machines is among the best in the industry. One of the biggest issues for foreign-owned manufacturers is that they typically design machines for the needs of their own country’s market. They then try to sell these machines in the US, which is an entirely different market with unique needs and more demanding standards (as compared to those in Europe, for example). As a result, these imitators may look similar, but in reality they are often not nearly as durable. These foreign-made machines typically have light duty motors, actuators, structure, and other critical components which aren’t visible from the outside, but which obviously diminish their performance, reliability, and durability. It’s worth keeping in mind that warranties typically only cover travel time for a few months, which means that repairs can carry a significant cost. As such, reliability and durability are crucially important for the long haul. 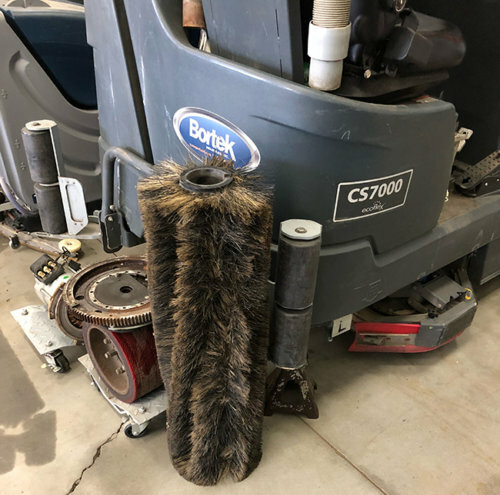 Then there are the manufacturers like Nilfisk-Advance who assemble some of their machines in the US, but use parts sourced from all over the world. 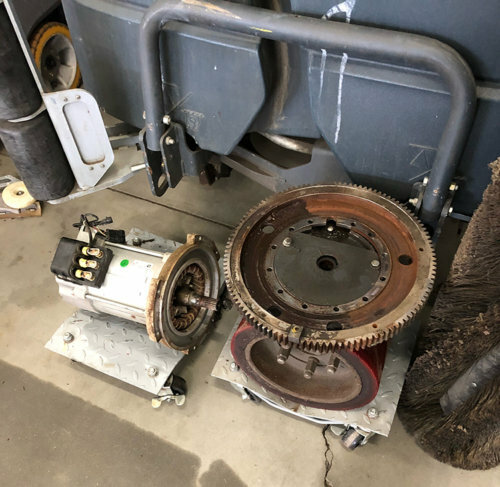 This is inherently a problem because the customer has no option but to buy the parts from the OEM, which creates its own issues of high prices and long lead times. An example is the CS7000 Sweeper/Scrubber. 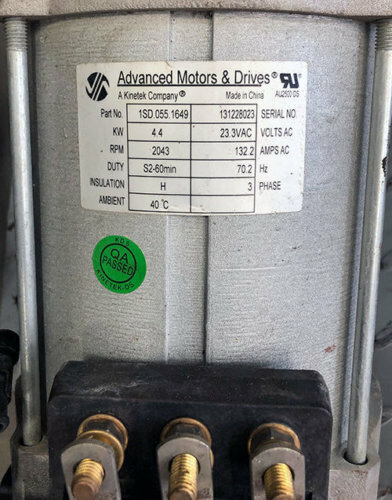 This machine uses a transmission from the Czech Republic and a main drive motor from China (pictured above and below). Unfortunately, in this case the machine was only about 4 years old and had a repair cost of well over $6,000. Many buyers ask themselves if they can afford to buy American. A better question would be: Can you afford not to?